Deceivingly Spacious home on a large corner lot. Freshly painted interior and newer carpet throughout this cute, move-in ready 2 bedroom home with rec room/den in the lower level. Living room is spacious and kitchen has loads of counter tops and cabinets. Plus room for your kitchen table. 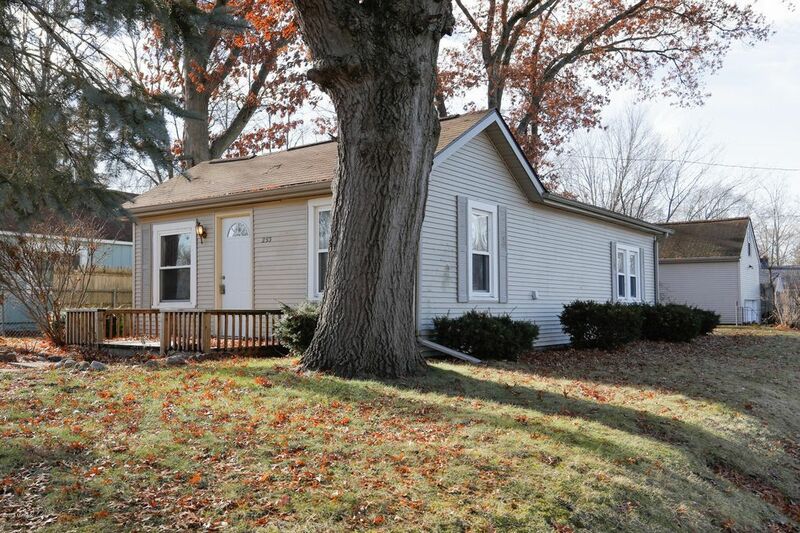 No major updates are needed as seller installed a new roof in 2009, new furnace in 2015, and new water heater. Replacement windows throughout. Garage offers a loft for extra storage, she shed, or man cave. Whyrent, when you can live with lower house payments than renting? Call Cindy today for your private showing at 269-209-2978! Directions: From intersection of W Michigan Ave and N Woodlawn Ave, head north on N Woodlawn Ave to home.